Tesla discontinued its $71,000 Model S 60D and replaced it with Model S 70D that comes with all-wheel drive. Its next higher edition in Model S is Model S 85D that has 85KWh rating (hence longer range) than 70KWh rating of 70D. The 85D however does not come with all-wheel drive, you upgrade by paying $5000 more. You do the math on how much additional value customers assign to each feature. Clearly Tesla has done the math. 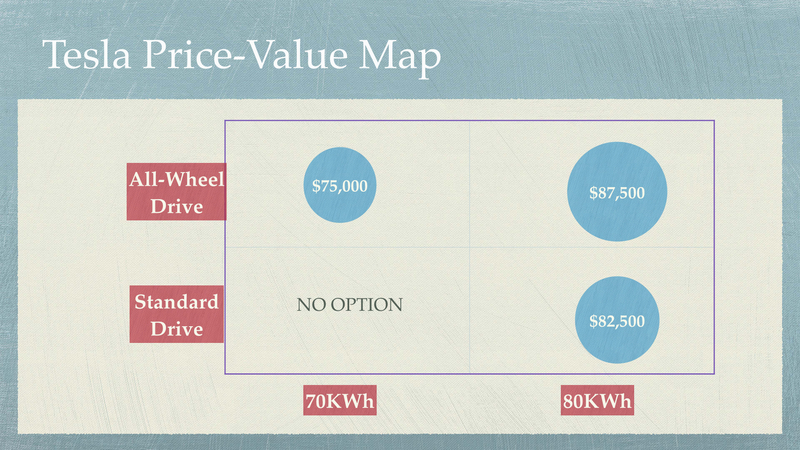 Is the value perception of AWD same for someone decided on 70KWh version vs. one who prefers 80KWh?